Yes, there is an awesome service by Testflight App which I highly recommend. Not because I received their stickers for being an early adaptor :). 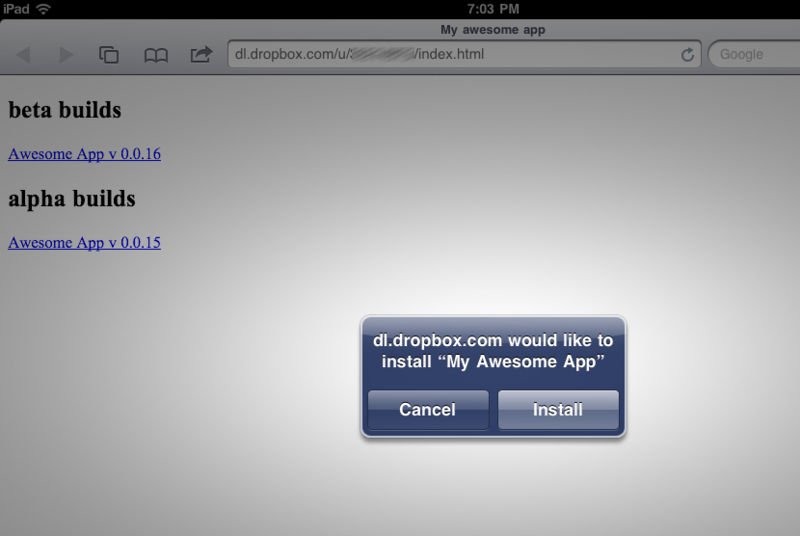 It does so many things which makes distributing app for beta testing a breeze, go try it yourself. I was just curious to know how OTA works, after testing with own web server for internal testing, I thought why can’t I do this with Dropbox? Build your app from xcode using Build and Archive option. 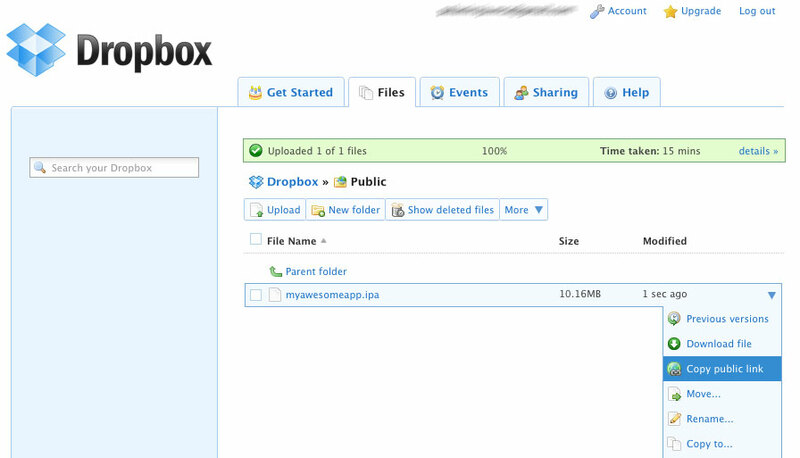 Upload your ipa file to Dropbox. And get public link for the ipa. 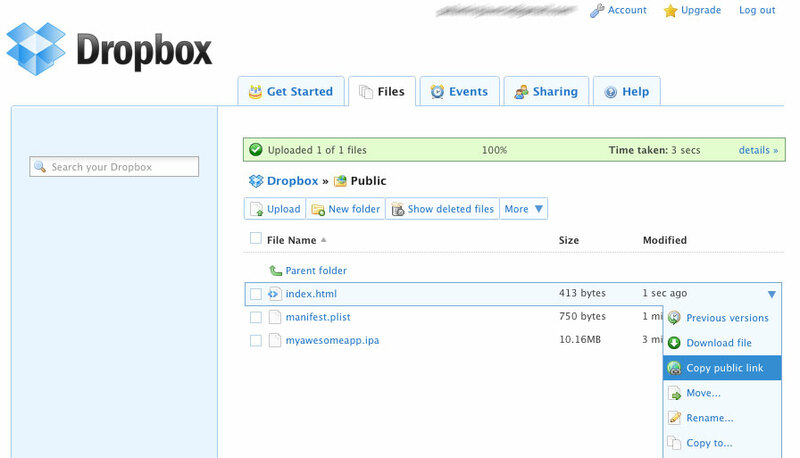 Upload the modified manifest.plist to Dropbox and get its public link. 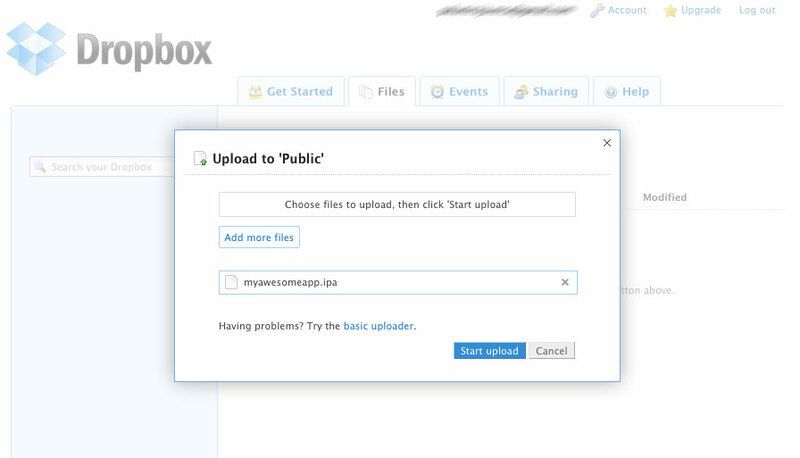 Upload the index.html to Dropbox and share the public link of it with your beta testers. App icon will be disappeared once the installation complete (which is weird), but restarting the device does solve the issue. 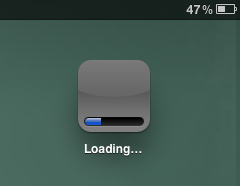 You have your app on springboard for testing. Enjoy delivering your adhoc builds to your testers by distributing over the air.